We are proud to showcase our business, contractor and construction credentials and awards. In addition to providing homeowners with various product warranties, we guarantee all of our workmanship for a full 10 years. GAF, North America’s largest roofing manufacturer, recognized Care Free Homes, Inc. with the 2014, 2015 & 2016 Consumer Protection Excellence Award! “Care Free Homes, Inc. has won the Consumer Protection Excellence Award for 2014, 2015 & 2016. Care Free Homes, Inc. achieved this goal by installing at least one hundred Lifetime Roofing Systems with enhanced warranties. This commitment to Consumer Protection demonstrates that Care Free Homes, Inc. is truly focused on installing quality roofs. Care Free Homes, Inc. is among the “Best of the Best.” Only the top 3% of all roofing contractors even qualify to become a Master Elite Contractor, and Care Free Homes, Inc. stands out in this very elite group. Due to GAF’s stringent standards, only 3% of all roofing contractors have qualified as Master Elite™ contractors! Choosing a GAF Master Elite™ contractor is your assurance that you’ll be dealing with a quality, reputable, and dependable professional contractor. ShingleMaster™ (SM) – Contractors who are focused on superior workmanship and customer satisfaction earn the SM credential by employing a Master Shingle Applicator qualified workforce or participating in an SM Credential Course. An SM can offer you SureStart PLUS extended warranty coverage when an Integrity Roof System is installed on your home. Harvey Building Products selected Care Free Homes, Inc. as their SouthCoast Massachusetts Harvey Elite Series window dealer! Harvey Elite Series windows are only offered through carefully selected dealers. Our 37 years of quality workmanship and dedicated customer service have defined us as one of the area’s leading window replacement and home improvement companies. Mastic checks the BBB score of all its Preferred and Elite Contractors and requires a score of 75% or higher to retain their Preferred Contractor status. 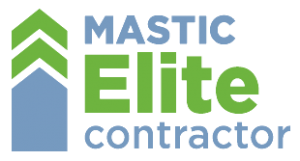 A Mastic Elite Contractor has an even higher requirement and must maintain a score of 90% or higher. Many contractors specialize in multiple types of projects. If you are considering vinyl siding for your home, be sure to choose an experienced and reputable vinyl siding installer. Mastic requires its Preferred Contractors to have at least three years of experience installing vinyl siding. Mastic Elite Contractors are held to an even higher standard and must have at least five years of experience installing vinyl siding and be certified by the Vinyl Siding Institute. There are many grades of vinyl siding, therefore, your home improvement project will be as good as the products used and the workmanship of the installer. Mastic is a professional grade product that is durable, dependable, warranted and from an established well-known manufacturer. Mastic Elite contractors must be fully licensed and insured to protect homeowners and their property. Mastic regularly assesses that their Elite Contractors meet these qualifications. Products, technology and application methods are continuously evolving. To maintain their Elite status, Mastic Elite Contractors must pass two training classes every 24 months. This ensures that Elite Contractors are in sync with the most current products and practices. Have a minimum of one year of experience installing vinyl siding and accessories. Attend the Vinyl Siding Institutes rigorous course. Pass the Vinyl Siding Institutes Certified Installer exam. To ensure they remain current with the latest application techniques, all VSI Certified Installers must apply for recertification every three years. 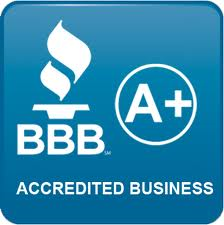 Dealers are an accredited member of the Better Business Bureau with a minimum “A” rating. They must exemplify trustworthy business practices. The company owners and sales representatives have exemplary character and integrity. The dealer demonstrates honest advertising and marketing practices. All sales representatives and installers are factory trained and certified. 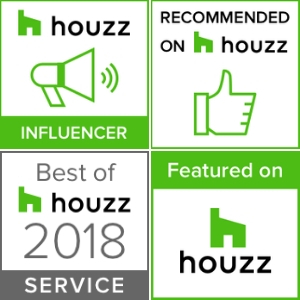 Care Free Homes is recommended on Houzz and is a Houzz Influencer! We were also awarded best of Houzz for Customer Satisfaction! This award is only given to 4% of Professionals on Houzz. Thank you to our loyal customers for their positive reviews that helped us get this award! Care Free Homes is an active and proud member of the SouthCoast Chamber. This organization supports and represents businesses from Acushnet, Dartmouth, Fairhaven, Freetown, Marion, Mattapoisett, New Bedford, Rochester, Wareham, and Westport. They host several initiatives focused on economic development, education, legislative affairs, and trade shows that positively impact its members and the quality of life in the SouthCoast Massachusetts community. Care Free Homes is a member of the Cape Cod Chamber of Commerce. This membership organization works to strengthen business and promote regional economic vitality while addressing cultural, environmental and community concerns. They are a catalyst for a vibrant economy and Cape Cod community. Care Free Homes is a member of the Cape Cod Canal Chamber of Commerce. They promote and represent businesses who work in and around the towns of Bourne, Sandwich, and Wareham. They educate, inform, and advocate on behalf of businesses and residents of the Cape Cod Canal community.